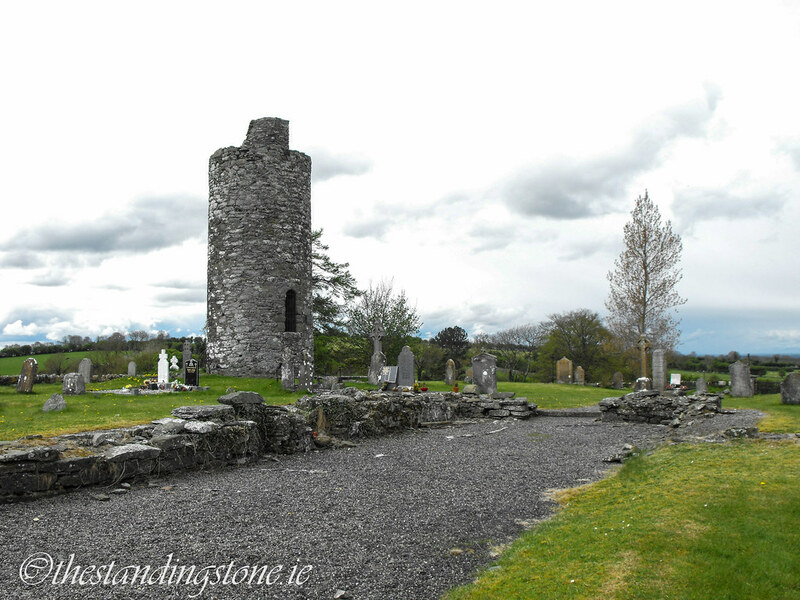 The Standing Stone: Old Kilcullen, Round Tower, High Cross and Church, Co. Kildare. 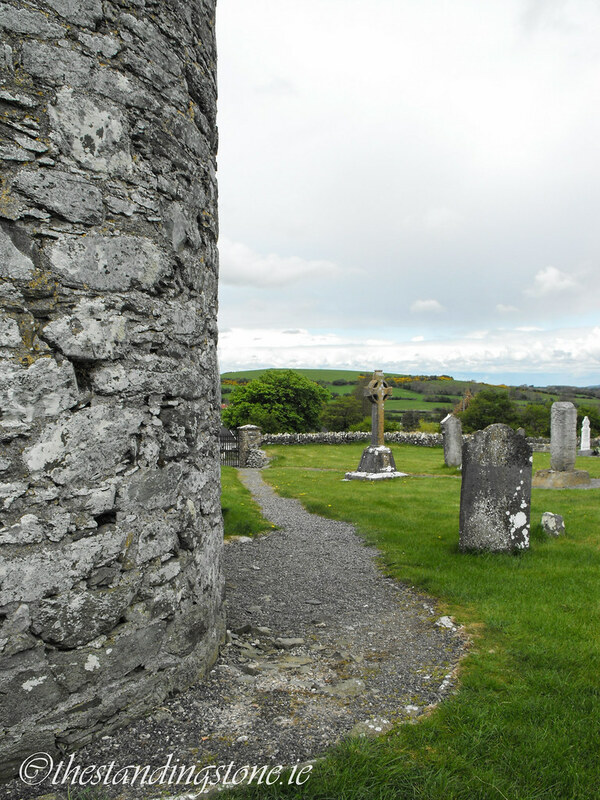 Old Kilcullen, Round Tower, High Cross and Church, Co. Kildare. 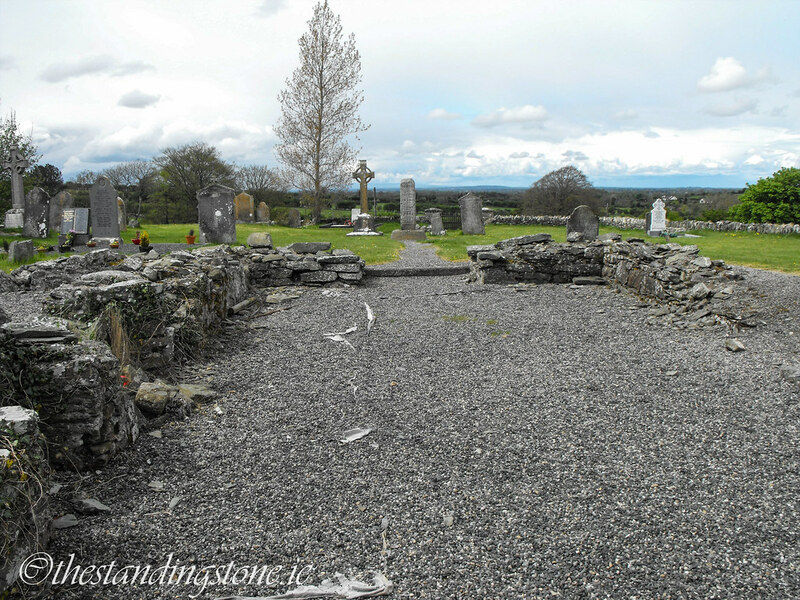 Location – In Old Kilcullen village near Kilcullen town. 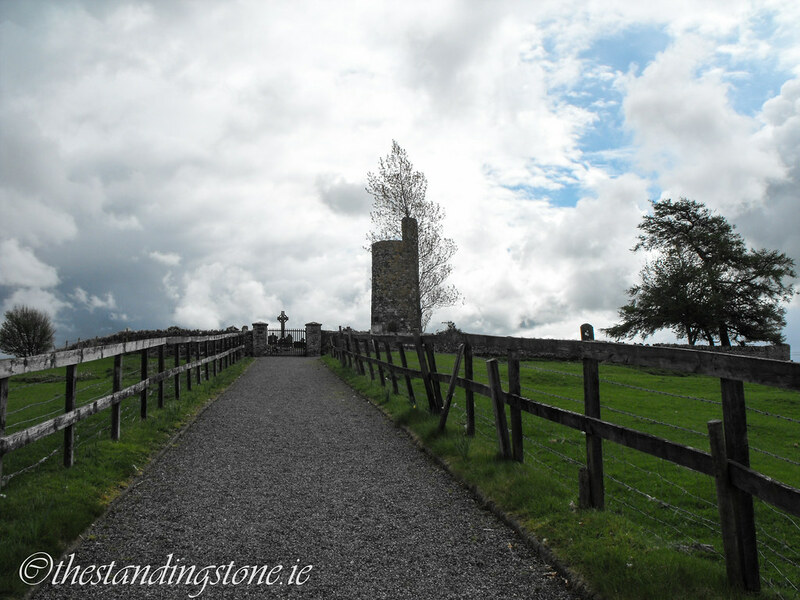 Description and History – Old Kilcullen is a spectacular ecclesiastical site located on top of a small hill with great views of the surrounding countryside including the massive hill-fort, Dun Ailinne, once the seat of the Kings of Leinster. 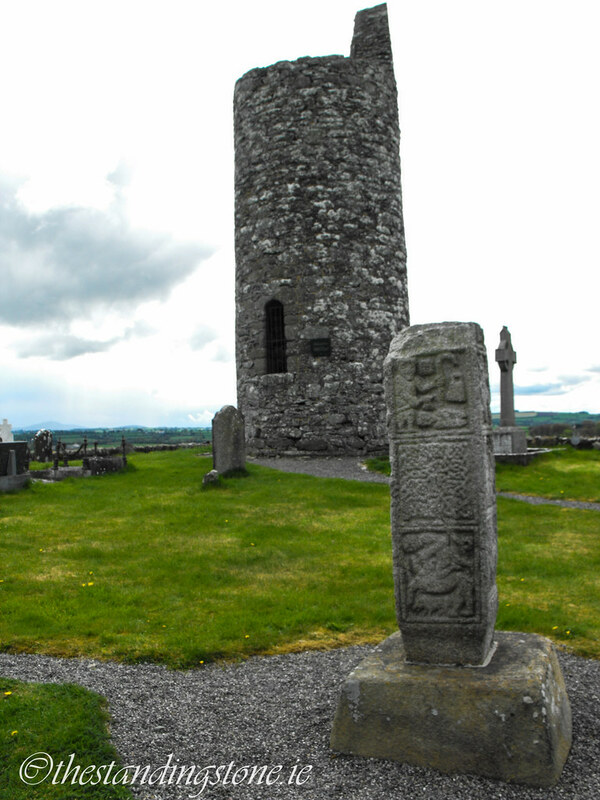 Tradition lists St. Patrick with being the site’s founder who placed Mac Tail as Bishop. However, dates seem incorrect for this with Mac Tail’s death usually given at 548 while the founding of the site is often given as 448. The site was plundered twice by Vikings in 936 and 944. The raid of 936 saw 1000 prisoners being taken, according to the Annals of the Four Masters. From its 5th century origins the site grew in size into a walled town during the Norman period. At this time there were defensive walls, seven towers and a castle, none of which survives. 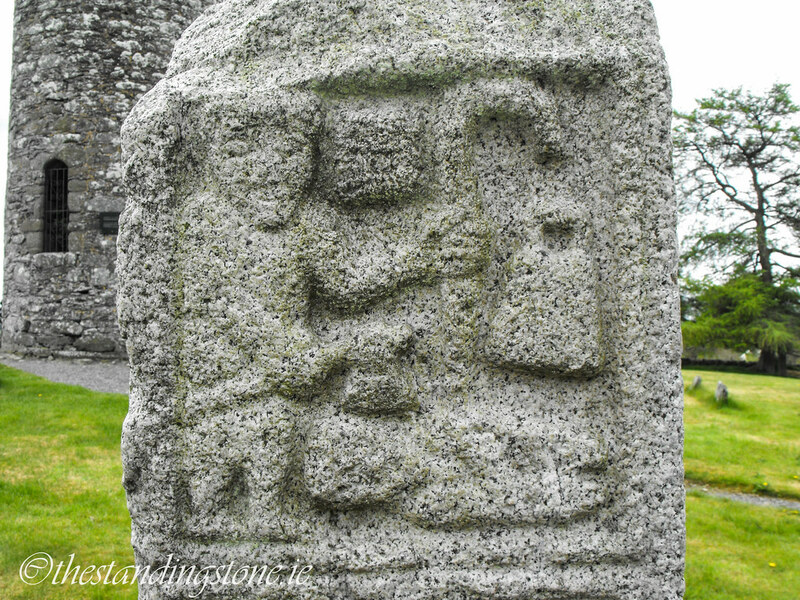 In 1319 a bridge was erected over the Liffey river nearby and a town started to develop here which is today Kilcullen. 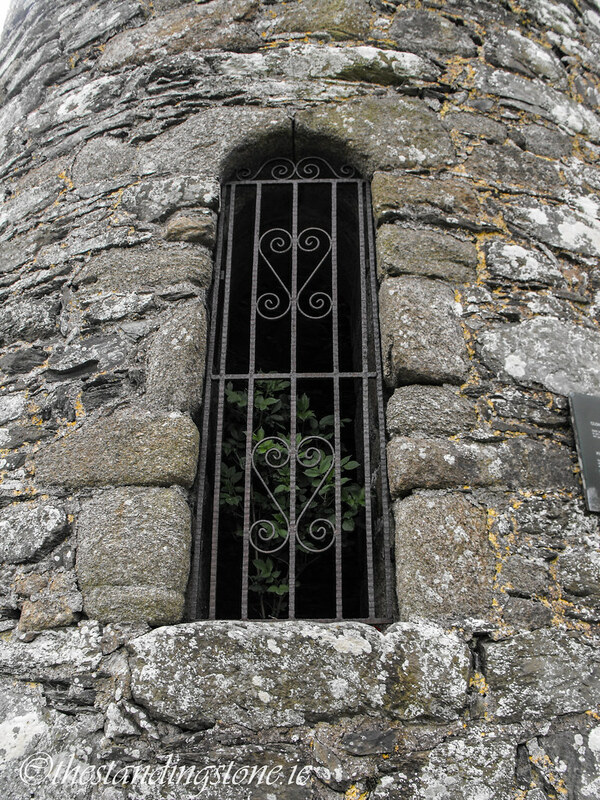 When this town started to develop Old Kilcullen went into a steady decline. 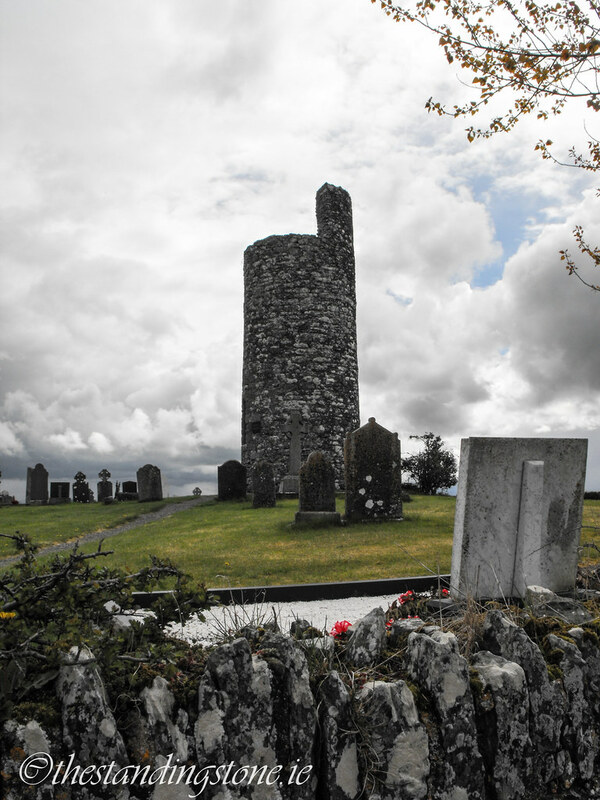 During the Irish Rebellion of 1641, which saw the start of the Confederate Wars in Ireland, the site was taken by Parliamentary forces and then taken by the Royalist army. In 1647 it was retaken and burned by Parliamentarians. 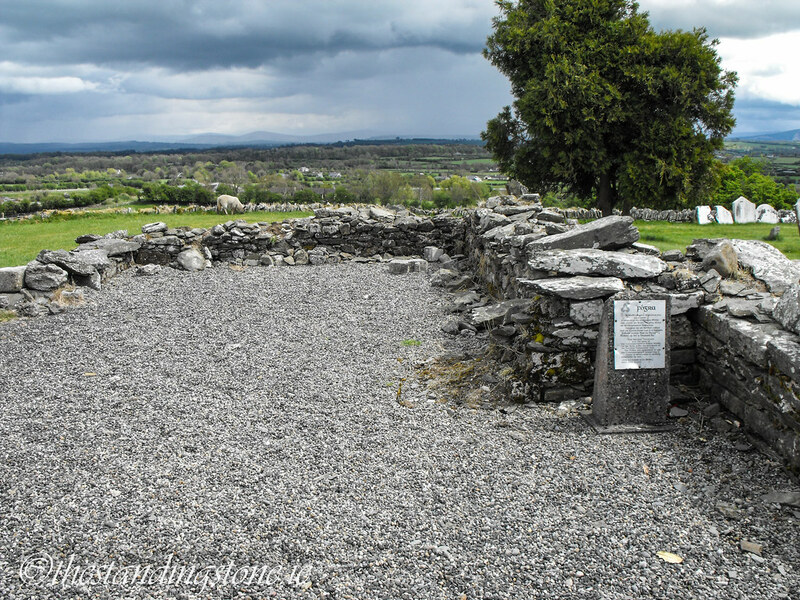 The site saw significant damage during the 1798 rebellion where the site, surrounding countryside and Dun Ailinne were the site of the Battle of Kilcullen. 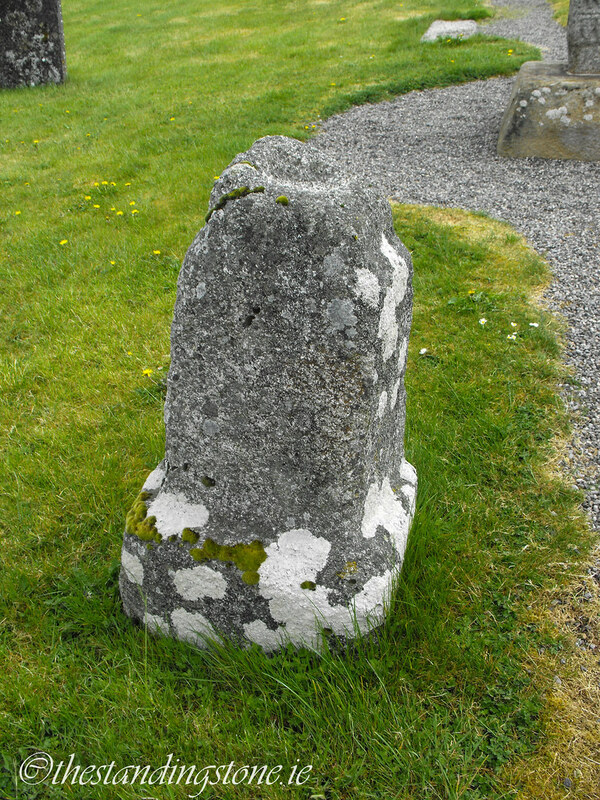 The Battle of Kilcullen was one of the initial battles of the rebellion and fighting at the Old Kilcullen site saw a victory for the rebels but when the fighting moved a couple of hours later to Kilcullen turnpike the government forces lured the rebels into a trap and slaughtered 150 people resulting in a government victory. The government forces, however, withdrew from Kilcullen to Naas to consolidate their position. 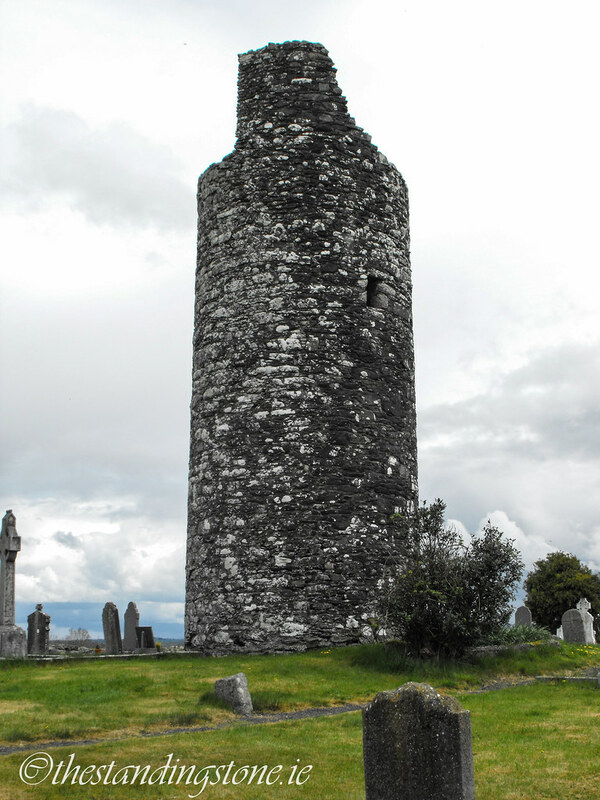 It was during this battle the round tower was partially destroyed and the Romanesque church was largely destroyed. Drawings of the site in the 18th century, prior to the rebellion show the site to be complete. 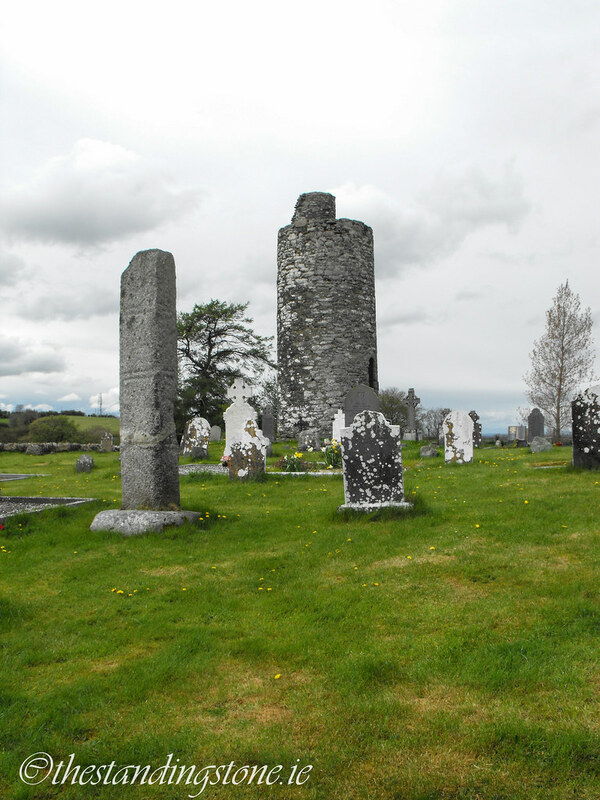 The present remains at the complex include small portions of a Romanesque church, two high-cross shafts and a round tower. 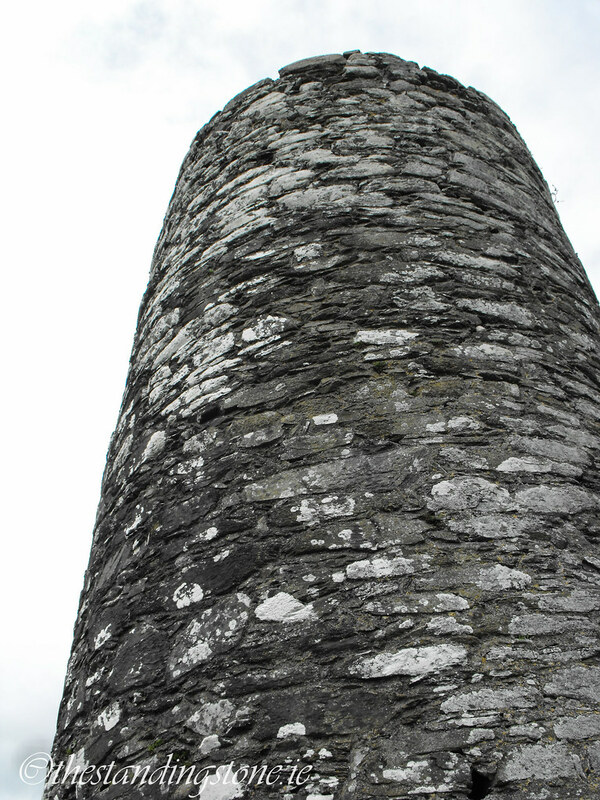 The round tower now stands to a height of 11m and dates to the 11th century. The remains of the Romanesque church only stand a few feet above ground level and show nothing of their Romanesque design. 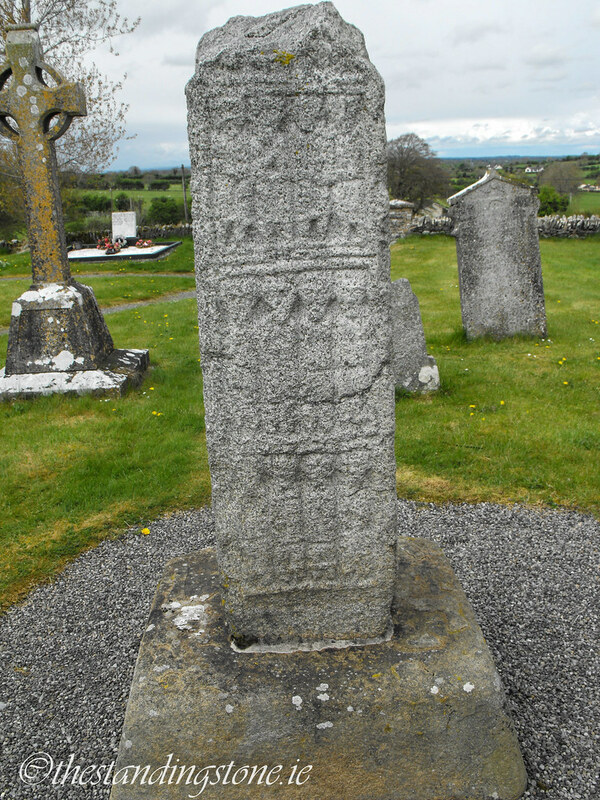 The two high-crosses are also incomplete while the base to another sits in the graveyard. 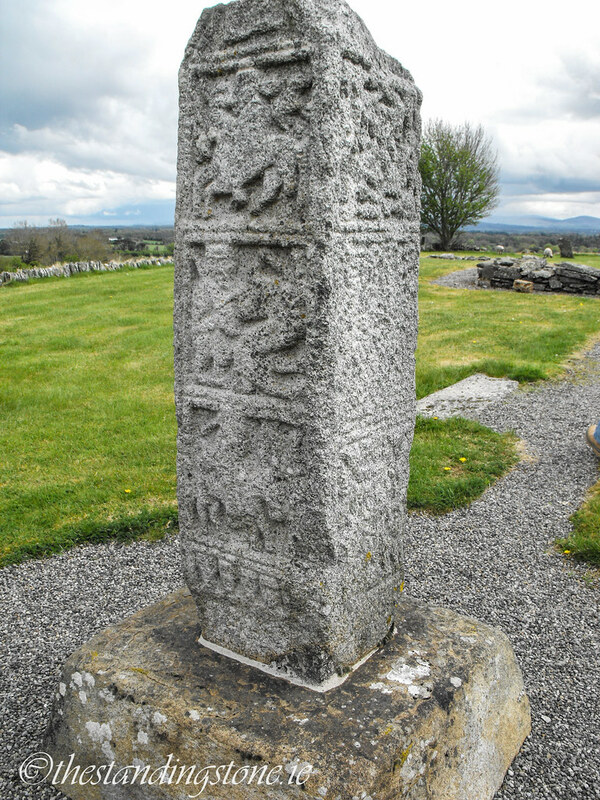 The cross closest to the entrance is the most ornate of the two, showing the 12 disciples on the East face. 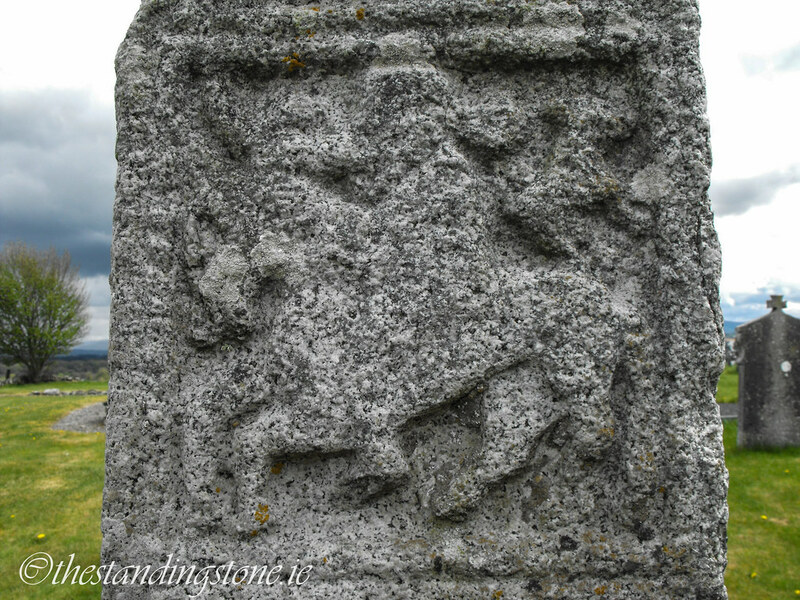 The North face shows Daniel and the lions, interlacing patterns and possibly Bishop Mac Tail. The other two faces also show biblical scenes including Samson slaying a lion and the flight from Egypt as well as more interlacing patterns. 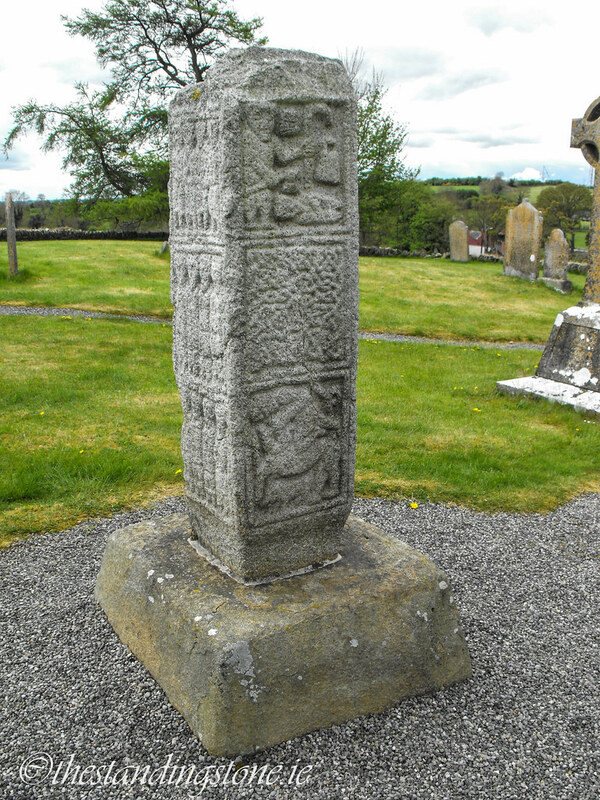 The other high cross shaft is un-decorated as is the cross-base. This is a very tranquil spot and wonderful place to visit. While there are substantial remains at the site it is sad to think that it is only the last 250 years that most of it has been lost. From a walled town to a small graveyard; I wonder what is beneath the surface. Difficulty – It’s an easy site to access with parking available. The site as you approach from the car-park. 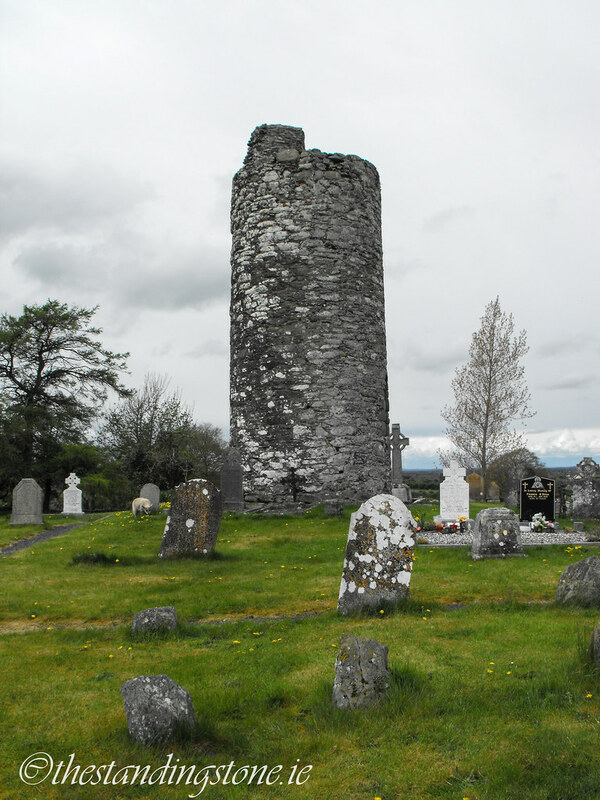 The remains of the round tower with the elaborately decorated high-cross shaft in the foreground. 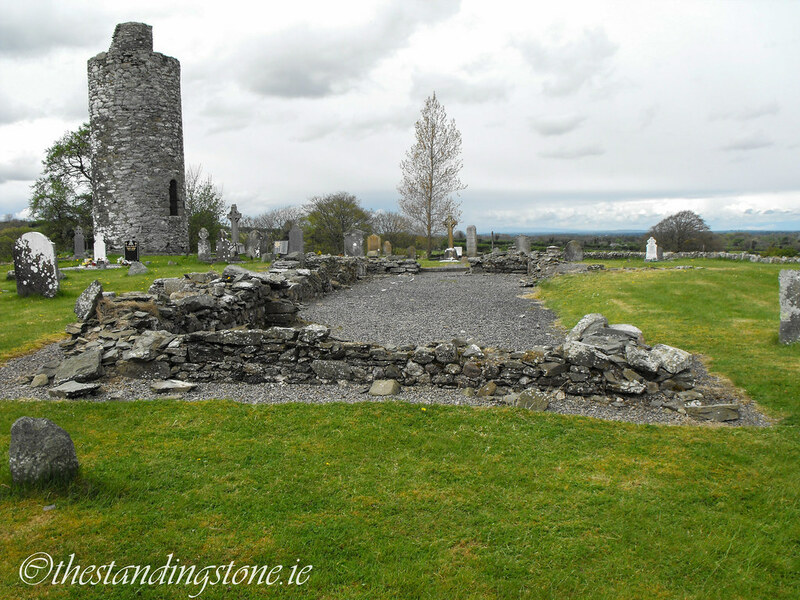 The remains of the Romanesque church can be seen in the foreground. 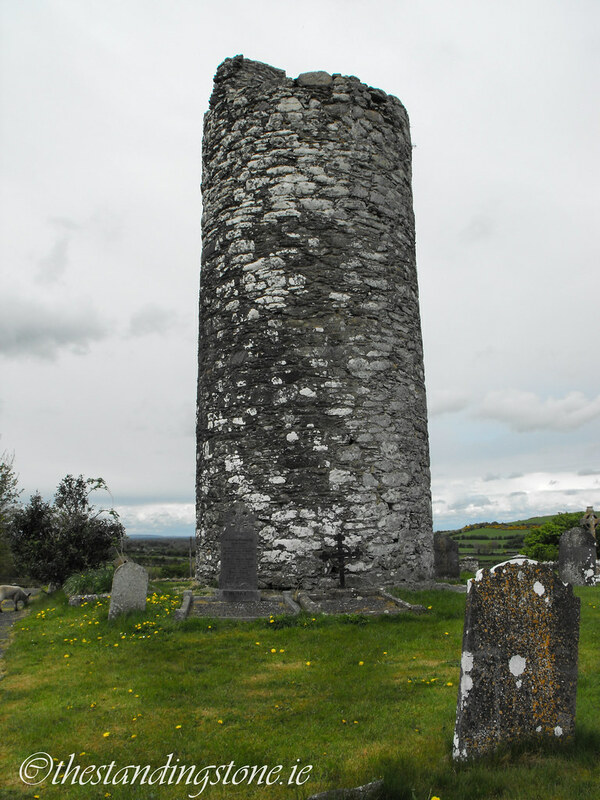 The round tower with the remains of a second cross. In the background you can just make out Dun Ailinne. 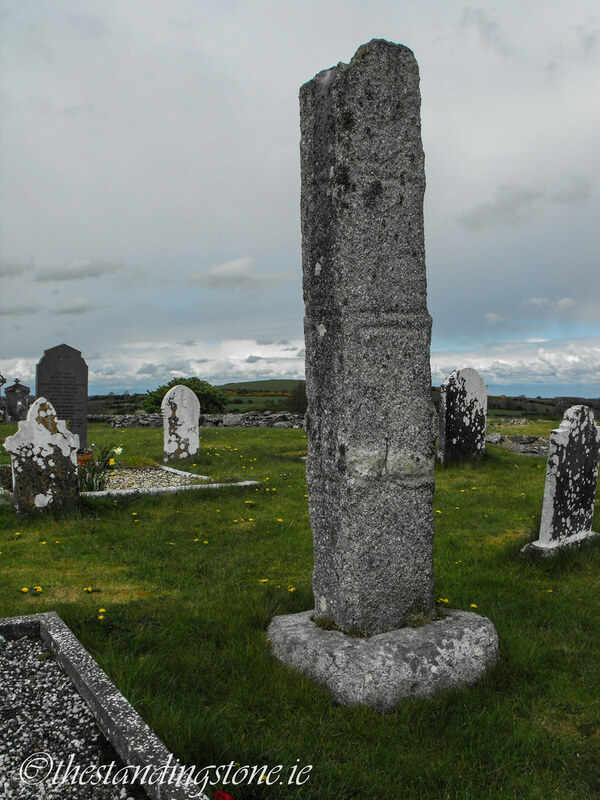 The wonderfully decorated high-cross shaft. 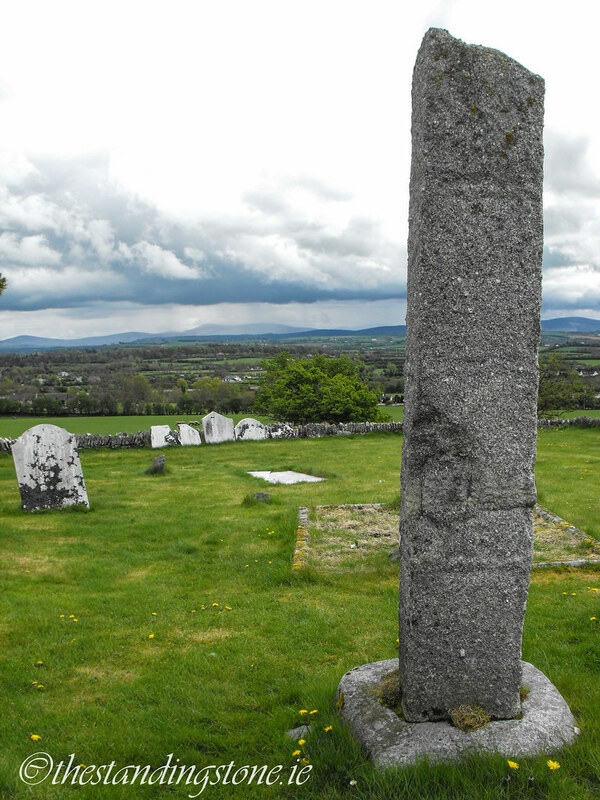 The high-cross with Dun Ailinne in the distance. 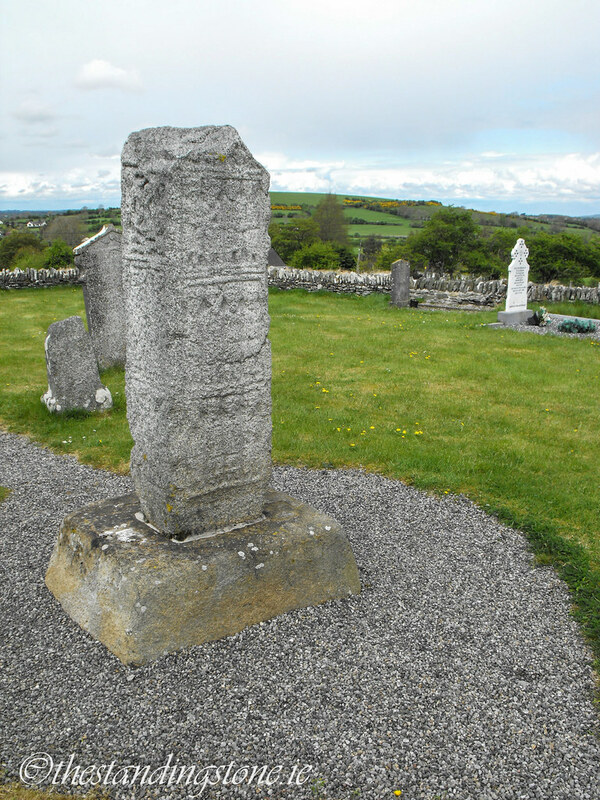 The un-decorated second cross with Dun Ailinne in the distance. Curiously this cross-shaft is divided into panels. I think these leaves a couple of interesting possibilities. 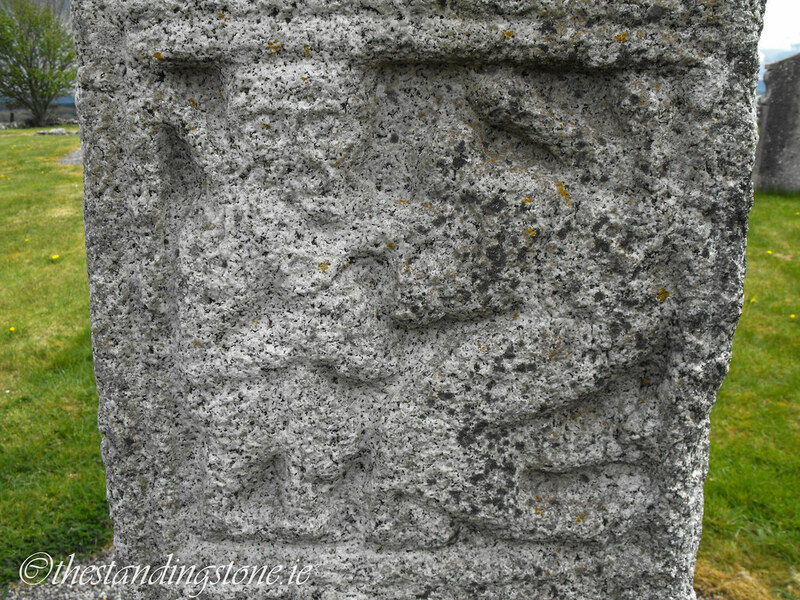 Firstly, it could indicate that decoration was intended for the cross but it was never finished. 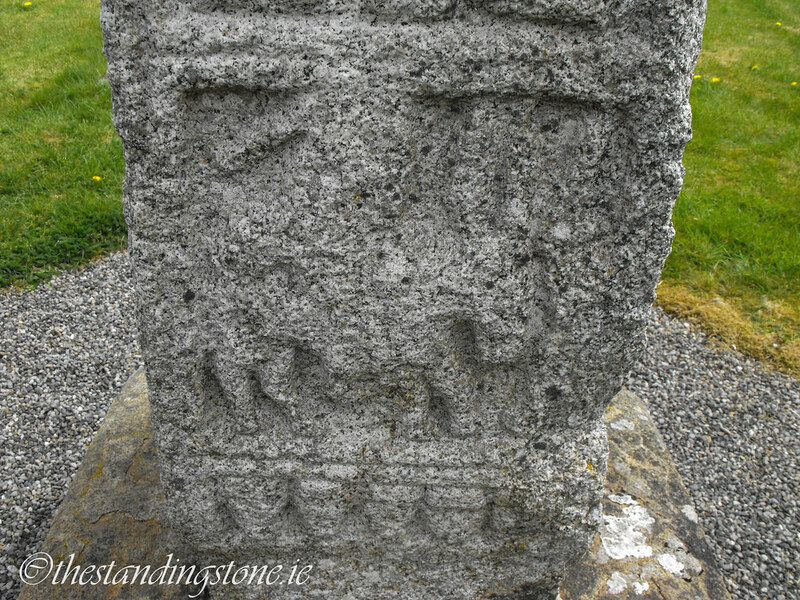 Secondly, it could indicate that decoration was not carved on but rather painted on. We have a tendency to think of old and ancient artwork as being colourless such as the classical statues of Greece and Rome. However, they were actually colourfully decorated. 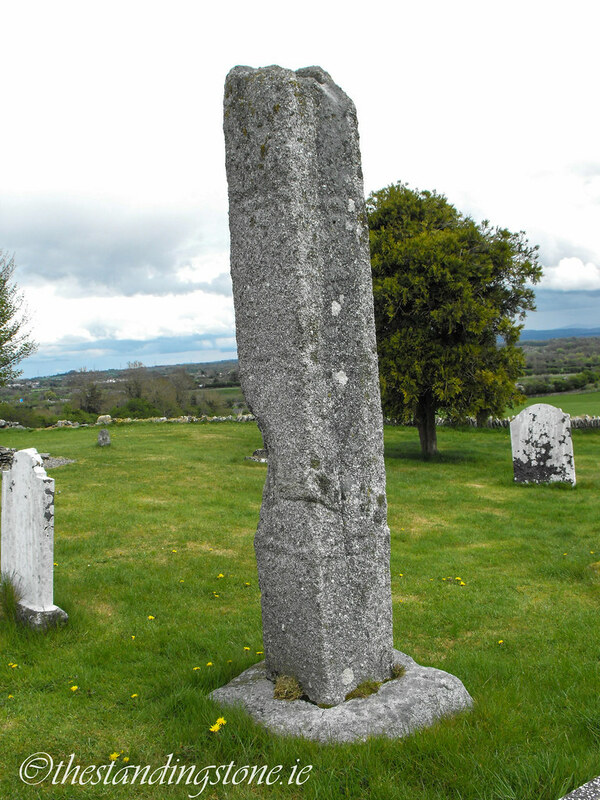 Is there any reason so assume that high-crosses in Ireland were not also painted? While an interesting possibility the amount of upkeep in our climate would be immense. 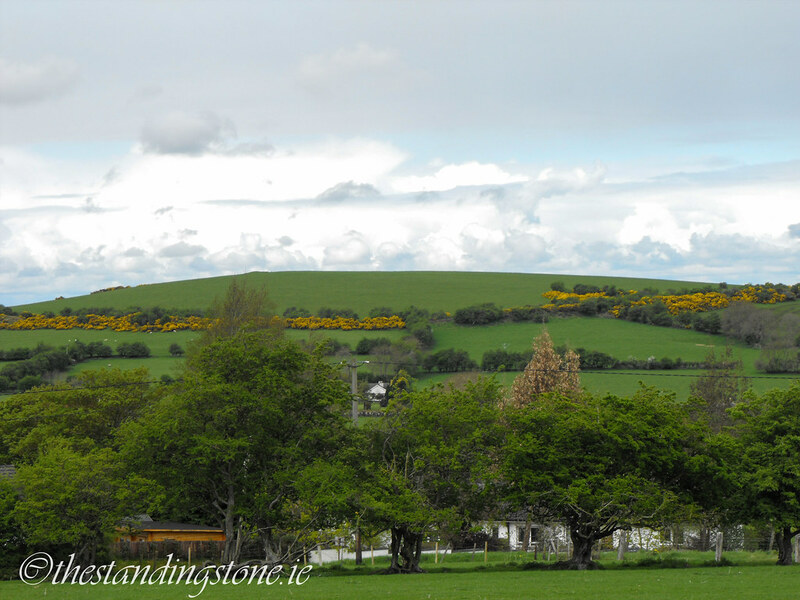 There are some stunning views from Old Kilcullen. The poor remains of the church. Dun Ailinne. I have tried to visit the hill-fort on two occasions but because of cattle grazing I was unable to on both occasions.